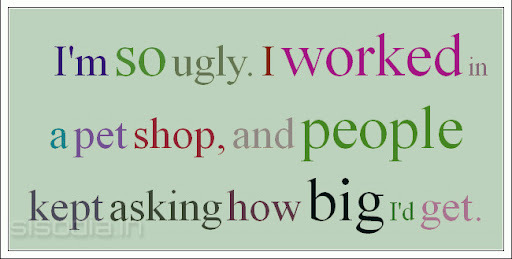 Quotes Find: I'm so ugly. I worked in a pet shop, and people kept asking how big I'd get. I'm so ugly. 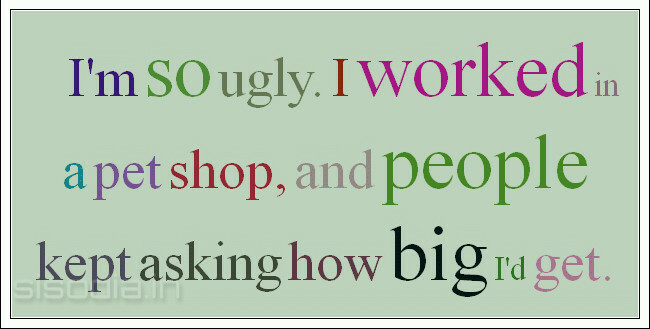 I worked in a pet shop, and people kept asking how big I'd get.